He distinguished himself as a leader especially in educational tours for learners, sport management, education and principal associations and as organiser for athletics at provincial level. In 1997 he returned to Paarl as deputy head of the Paarl Gymnasium High School. After the death of his father in 1999, he entered the business world to take care of the family's business affairs. The Koegelenberg family are community focused and provides service on different levels. Anré has served on the Paarl Gymnasium's governing body for over a decade and serves as president of Ex-Students Council of Paarl Gymnasium High School. He also serves on the provincial and national structures of FEDSAS - The Federation of South African School Governing Bodies, and is a member of the Examination Board of the Western Cape Education Department. 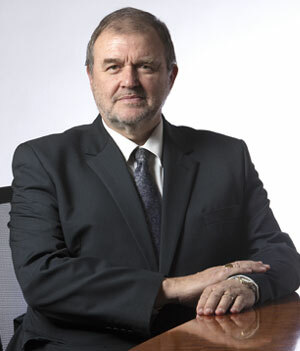 After the local Government elections on 18 May 2011, Councillor Koegelenberg was appointed as Chief Whip for the Council of the Drakenstein Municipality. He sees it as a challenging opportunity to serve his community. A Chief Whip is responsible for good order and discipline and to ensure that political boundaries are respected and maintained with the aim cultivating sound professional relationships for the benefit of service to the community. Councillor Koegelenberg's personal mission towards the Executive Mayor and each member of the Executive Mayoral Committee is to assist them in their goals for Drakenstein. Anré married Annelie in 1981, an ex-pupil of La Rochelle Girls High School. The couple has three sons: Driaan, Corné and Burger, and all three are ex-pupils of Paarl Gymnasium High School. They love the outdoors and regularly join a group of friends on the back roads to travel the mountain plains or the sea. They are keen geo-tourists and acknowledge that the beauty of the Drakenstein are can be a world class experience to both national and international travel explorers making it a great tourist destination in South Africa.